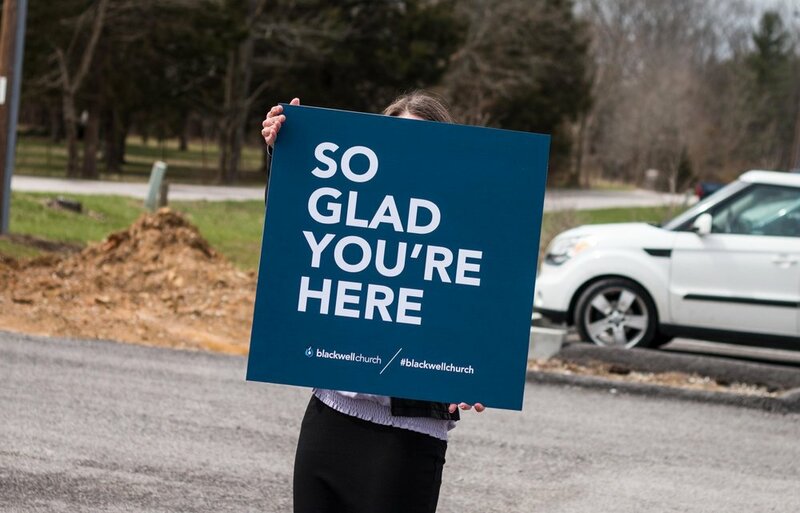 Blackwell Pentecostal Church approached us to create fresh branding to reflect the welcoming atmosphere of their members. 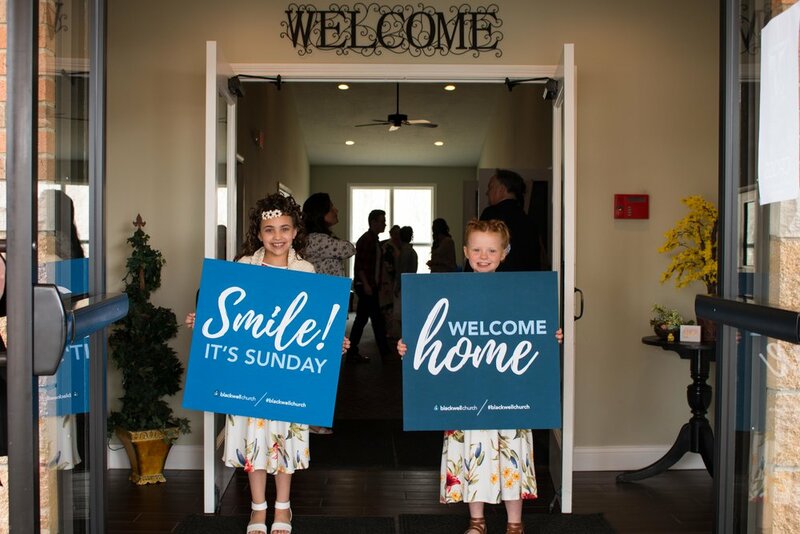 With rapid growth over the past 20 years and a new focus on inspiring the youth of Bloomington; Blackwell needed a branding system that reflected the history of the church while recognizing the youthful, welcoming congregation that calls the church home. The designs needed to convey that Blackwell was a well of living water. Drawing from the original motif of a well—and the mission of reaching anyone and everyone around it—we developed a branding system that held on to the historical significance of the work while re-imagining the vision. The colors and motion graphics reflect the expanding nature of ministry while the new symbol and clean typeface showcase the fresh approach and desire of the church. The goal and purpose of Blackwell Church is to Exalt the Savior, Equip the Saint, and to Evangelize the sinner. These core values drove the development of the iconography for Blackwell Church. The symbol combines the figures of a water drop and flames into one icon; symbolizing the fire of the Holy Ghost emerging from a well of living water. The three partitions of the flame represent each core value. The well of living water metaphor denotes movement and fluidity of mission. The church is not an idle, stagnant congregation but an alive, passionate, and growing mission. 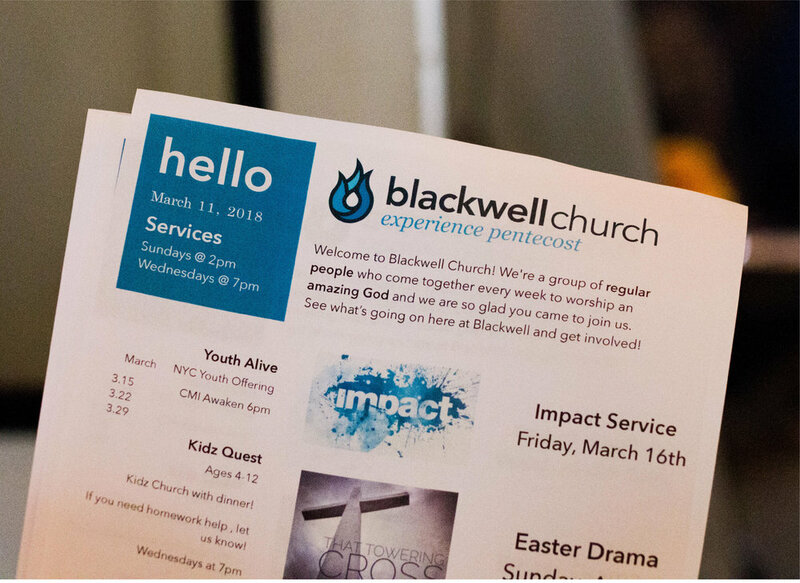 We worked closely with the leadership of Blackwell Church to develop extension pieces that would clearly communicate the mission of the church as well as the premise that Blackwell is a place of regular people coming together to worship an amazing God. 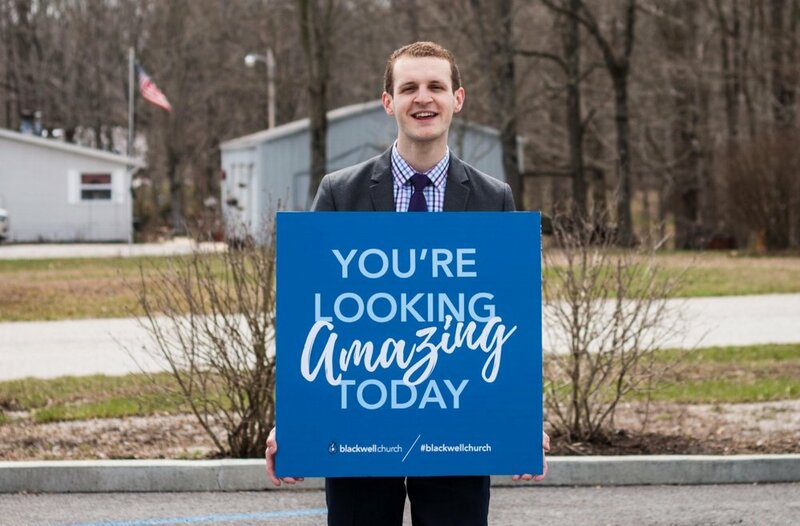 Postcards, Business Cards, Banners, Welcome Signs and Greeting Bags equipped the saints to spread this message. They also were a nice reminder to all visitors that they are welcome and they look amazing today!